Lebanon, NH – A new multi-institutional clinical trial compared outcomes of women with multiple ipsilateral breast cancer, or more than one site of disease in the same breast, who underwent breast-conserving surgery, with outcomes of those who converted to mastectomy. Out of 198 eligible women in the trial, 184 (92.9%) successfully completed breast-conserving surgery, 134 of those with a single operation. These findings have just been published online first in Annals of Surgical Oncology. The question was approached in a new collaborative, multi-institutional study conducted by the Alliance for Clinical Trials in Oncology and led by Kari Rosenkranz, MD, a surgical oncologist and medical director of the Comprehensive Breast Program at Dartmouth's Norris Cotton Cancer Center and associate professor of surgery at Geisel School of Medicine at Dartmouth. "Our study is the first prospective study to assess the feasibility and safety of breast conservation in women with two or three malignant lesions in a single breast," says Rosenkranz. The endpoints measured include local recurrence at 5 years, as well as rates of surgical conversion to mastectomy or second surgeries due to positive margins (malignant tissue around the disease site remaining after surgery). This new study finds that for the majority of women enrolled in the trial, 92.9%, breast-conserving surgery is technically feasible. 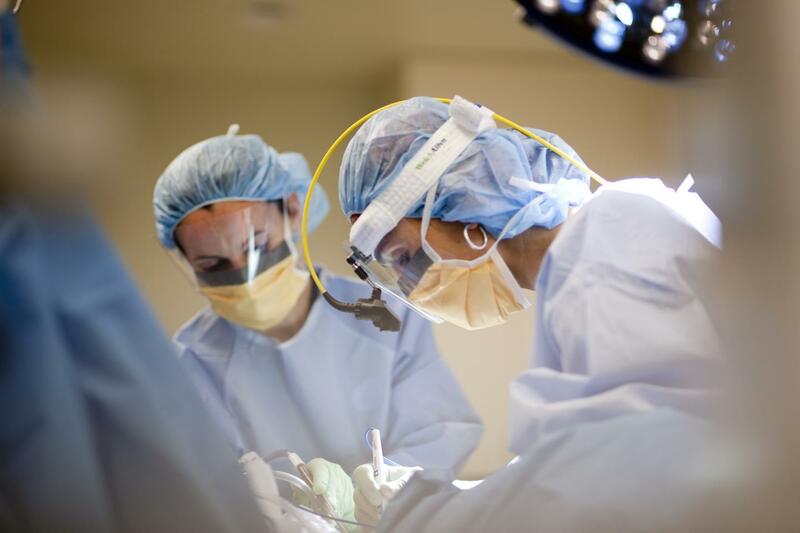 "Results show an acceptably low rate of conversion to mastectomy, and most women successfully achieving breast conservation with negative margins in a single operation," says Rosenkranz. "These data may inform conversations between patients and surgeons regarding management of multiple ipsilateral breast cancer." Co-authors are Karla Ballman, PhD, of Alliance Statistics and Data Center, Weill Medical College of Cornell University; Linda McCall, MS, of Alliance Statistics and Data Center, Duke University; Charlotte Kubicky, MD, of Oregon Health and Science University; Laurie Cuttino, MD, of Virginia Commonwealth University Health System; Huong Le-Petross, MD, and Kelly K. Hunt, MD, of The University of Texas MD Anderson Cancer Center; Armando Giuliano, MD, of Cedars-Sinai Medical Center; Kimberly J. Van Zee, MD, of Memorial Sloan Kettering Cancer Center; Bruce Haffty, MD, of Rutgers Cancer Institute of New Jersey; and Judy C. Boughey, MD, of Mayo Clinic.